Source: A ditch on the east side of the B1113 between Redgrave in Suffolk and South Lopham in Norfolk, for much of its length the Waveney is the border between Norfolk and Suffolk. Navigation: The Waveney is navigable for motor boats from Geldeston Lock to the sea although smaller rowboats and canoes can make headway upstream for many miles to Scole. From the ditch by the B1113 the Waveney runs through Redgrave and Lopham Fen SSSI, flowing East through Diss and Scole the Waveney is joined by the River Dove, its only large tributary, just before Hoxne. Continuing past Wortwell the removal of the sluice at Homersfield has improved fish passage and river function. At Bungay the river has created a huge meander encircling the town before flowing through marshes to Beccles. The river below this point is wide and deep, boats can go from here up to Breydon Water or out to Lowestoft via the sea lock at Oulton Broad. Environment Agency records show that the Waveney catchment is made up of twenty waterbodies, of these twelve are natural and eight heavily modified. All twenty waterbodies meet the Environment Agency 2016 Cycle 2 target for good chemical status. For ecological status or potential nineteen are graded moderate and one bad. Land use in the Waveney catchment is primarily agriculture, partnership work currently within the catchment is focusing on the improvement of fish passage and improving water quality. 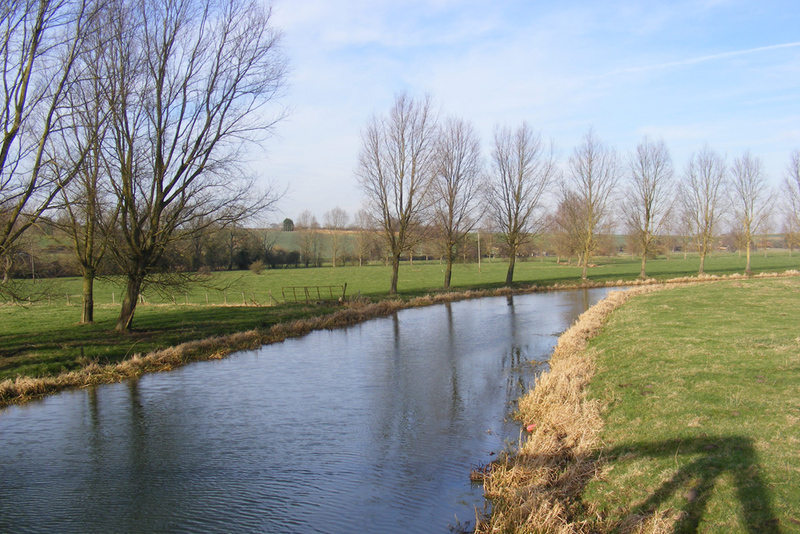 Initiatives active within the catchment include the Waveney Catchment Partnership, which encourages collaborative working between Essex and Suffolk Water, Natural England, the Environment Agency, agronomists, farmers and landowners in the catchment. The River Waveney Trust involves local communities in projects to improve and learn about their river. Information on this page is from the RiverWiki, the Catchment Data Explorer, and the 2015 EA River Basin Management Plan for the Anglian region.